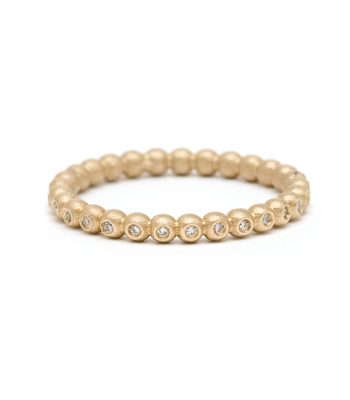 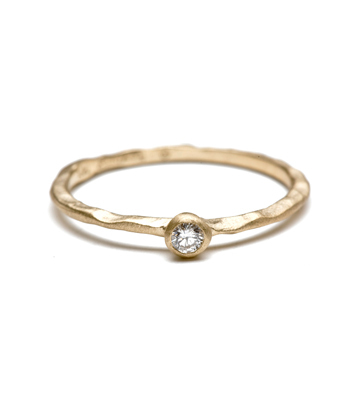 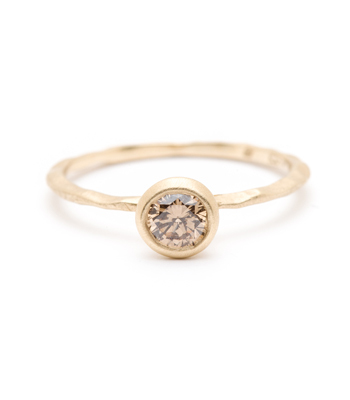 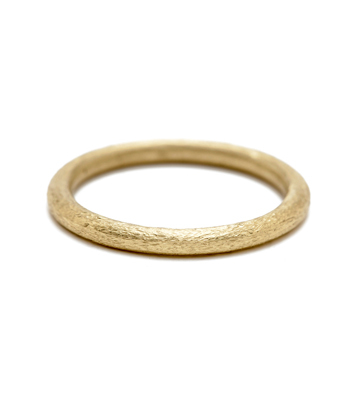 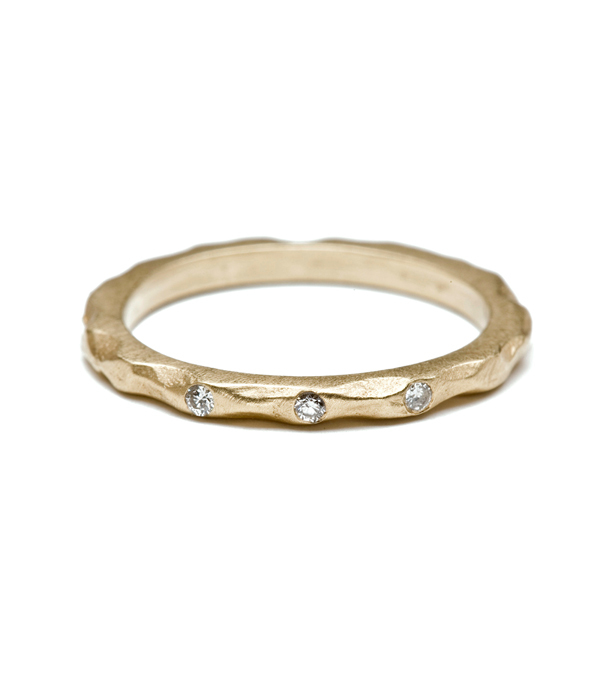 Simple and understated, this chunky 14K matte gold band with three burnished diamonds (0.04 ctw) lends an uncomplicated touch to any wedding set. 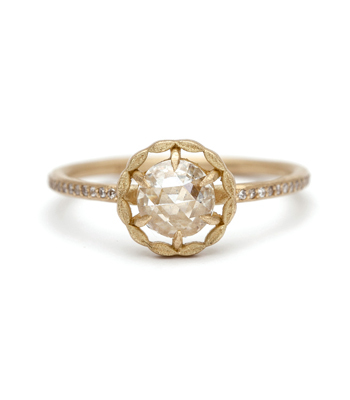 Hand-hammered facets add a time-worn feel to this classic piece. 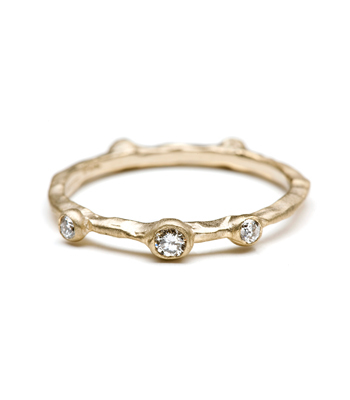 A twist on tradition for a natural beauty bride or a perfect way to add some texture to your favorite stacked set!